The Rev. Jay Wilson is a queer and genderqueer transguy, autistic and disabled, who identifies as a Lutheran postmodern, third-wave feminist, academic geek, disability rights activist, and social justice advocate. Jay completed his Masters in Social Work from College of St. Catherine/St. Thomas University and completed his Masters in Divinity from Luther Seminary in St. Paul, Minnesota. Rev. Wilson worked at Welcome: A Communal Response to Poverty in San Francisco, CA. He was ordained to serve at Welcome through his work at First United Lutheran Church in San Francisco. Prior to working at Welcome, Jay worked in St. Paul, MN as a disability rights individual advocate. Jay has worked with religious communities and diverse organizations as a presenter, educator, and advocate in cross-movement anti-oppression, sexuality and gender identity, Self-Advocacy movement, and community access. 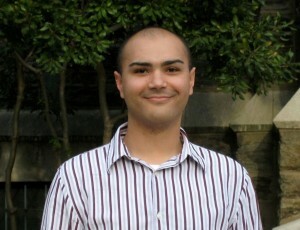 He served ELM as chair of the Diversity and Inclusion committee until March 1, 2011. In 1990, Rev. 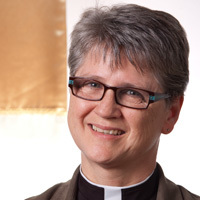 Zillhart founded Lutheran Lesbian and Gay Ministry along with her colleagues, Pastors Jeff Johnson and Ruth Frost, to provide an outreach to the lesbian, gay, bisexual and transgendered community of the San Francisco Bay Area. These three persons were the first openly lesbian and gay people to be ordained in the Lutheran Church. Phyllis was ordained extra ordinem on January 20, 1990 in a service at historic St. Paulus Lutheran Church in San Francisco that was attended by over 1000 persons, with participation by over 70 clergy members. She was considered ineligible for placement in an ELCA congregation because of a denominational policy that required a pledge of celibacy from gay and lesbian pastors. Phyllis served as the Associate Pastor for Outreach and Evangelism at St. Francis Lutheran Church, San Francisco. She served in this position from 1990 to 2005. Phyllis currently lives with her partner in the Twin Cities Area of Minnesota. She currently serves as a Chaplain with Fairview Hospice in the Twin Cities Metro. Phyllis was received on the ELCA Clergy Roster in a special “Rite of Reception” in the Saint Paul Area Synod on September 18, 2010, in a special celebration with ELM roster colleagues Ruth Frost and Anita Hill. She was issued a Letter of Call to Specialized Ministry on Oct. 21, 2010 through the Minneapolis Area Synod of the ELCA. Formerly a teacher and drug and alcohol counselor; Ruth was ordained on January 20, 1990 and served as the Associate Pastor for Outreach and Evangelism at St. Francis Lutheran Church, San Francisco. She served in this position from 1990 to 2005. In 1990, she founded Lutheran Lesbian and Gay Ministry along with her colleagues, Pastors Jeff Johnson and Phyllis Zillhart, to provide an outreach to the lesbian, gay, bisexual and transgendered community of the San Francisco Bay Area. These three persons were the first openly lesbian and gay people to be ordained in the Lutheran Church. Ruth was ordained extra ordinem in January 1990 in a service at historic St. Paulus Lutheran Church in San Francisco that was attended by over 1000 persons, with participation by over 70 clergy members. She was considered ineligible for placement in an ELCA congregation because of a denominational policy that required a pledge of celibacy from gay and lesbian pastors. An accomplished stained glass designer, Ruth has helped congregations express their mission and identity through the arts. You can see two of her projects at St. Francis Lutheran Church in San Francisco and Lutheran Church of Our Redeemer in Sacramento, CA. Currently, Ruth is working as a chaplain for Hospice of the Twin Cities in Minnesota. Ruth was received on the ELCA Clergy Roster in a special “Rite of Reception” in the Saint Paul Area Synod on September 18, 2010, in a special celebration with ELM roster colleagues Phyllis Zillhart and Anita Hill. On Oct. 21, 2010, Ruth was also issued a Letter of Call to Specialized Ministry as Hospice Chaplain for Hospice of the Twin Cities. Matt James is an approved candidate for ordained ministry with Extraordinary Lutheran Ministries (ELM). Matt received his BA from the University of Northern Colorado and an MA in Media Studies from The Pennsylvania State University, where he was very active in the Lutheran Student Community. Matt graduated from The Lutheran Theological Seminary at Philadelphia in May 2010. Originally from Colorado, Matt ventured away from home after his undergraduate work and served for a year with the Lutheran Volunteer Corps in Washington, D.C. It was there that Matt began to claim his identity as a Lutheran. While in graduate school, Matt began to sense a call to ministry that combined his passions of his faith, education, and social justice into one vocation. Matt chose to begin candidacy with ELM rather then negotiate the ELCA’s then-present policies for openly LGBT rostered leaders. Matt met his partner, John Weit, while they were both students in seminary. John currently serves as Director of Music at Trinity Lutheran Church in Worcester, MA. Matt is has been approved for ordination by the New England Synod of the ELCA and is awaiting a call to parish ministry in New England. 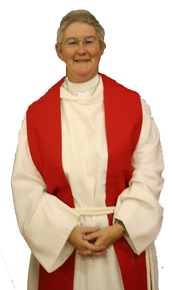 Jane Ralph was ordained April 24th, 1992. She served as pastor of St. James Lutheran Church, Director of The Child Abuse Prevention Ministry in a synodical call to Metropolitan Lutheran Ministry and as pastor of King of Glory Lutheran Church all in or around Kansas City, MO before being removed from the ELCA roster in 1998. Since then Jane’s ministry has taken many turns and she has found herself working in media advocacy for GLAAD, homeless ministries and services at N Street Village in DC and COTS in Burlington, VT, and as Multicultural Outreach Coordinator for Holden Village. Along the way her unpaid work included significant investment in Soulforce, Anti-racism work, faith based community organizing and leadership in LLGM. In June 2007 Jane was selected as Executive Director of the Clarina Howard Nichols Center in Morrisville, VT a feminist organization dedicated to ending sexual and domestic violence through survivor centered service and advocacy. Jane serves as Co-Chair on the Board of the Vermont Network to End Domestic and Sexual Violence and on the Core Team of The Women of Color Network’s Call to Action. The Rev. Kelli Shepard, ACPE Clinical Pastoral Education Supervisor, is the Director of Service Excellence/Patient Relations at BGSMC. She is from the Cincinnati, Ohio area, though she has also lived in Pennsylvania, Washington D.C., and Illinois before coming to Arizona in 1997. Kelli received her Bachelor of Social Work from Capital University in Columbus, Ohio and went on to receive her Master of Divinity from Trinity Lutheran Seminary, also in Columbus. In 1995 she was ordained by the Evangelical Lutheran Church in America (ELCA). Kelli came to Banner Good Samaritan in 1997 and successfully completed a year-long CPE residency. 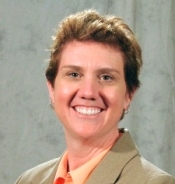 She continued her CPE journey as a Supervisory student , was certified as an ACPE Associate Supervisor in April of 2003, became the Director of Spiritual Care in July of 2004, and was certified as an ACPE Supervisor in March of 2006. At the end of 2009, Rev. Shepard became the Director of Service Excellence and Patient Relations. She still continues to supervise CPE units with the Spiritual Care Department. Pastor Jen Rude, a 2005 graduate of the Pacific School of Religion, Berkeley, CA was extraordinarily ordained in November 2007. She currently serves as Youth Outreach Minister at The Night Ministry in Chicago. The Night Ministry is an interfaith organization, started almost 35 years ago by churches and synagogues seeking to be a presence of faith on the nighttime streets. Jen specifically works with homeless and runaway youth, many of whom are gay, lesbian, bisexual and transgender. Jen currently serves on the ELM Board of Directors. In 2011 Jen Rude was approved for reception by the ELCA Metro Chicago Synod. Jay is originally from New Ulm, a small town of German descent in southwestern Minnesota. He graduated from Concordia College in Moorhead, Minnesota with a BA in religion. After college, he attended Wartburg Theological Seminary in Dubuque, Iowa. During his senior year, he publicly came out to the faculty and students at Wartburg and left to take some time off. He finished his Master of Divinity degree in 2002 and immediately began work at Bethany Lutheran Church in Minneapolis, Minnesota, as Pastoral Minister of Outreach. He was called and ordained by Bethany on July 25, 2004. He served the congregation from 2002-2008. Jay is pastoral director of The Naming Project. The Naming Project is a faith-based youth group serving youth of all sexual and gender identities. The primary focus is to provide a place for youth who are gay, lesbian, bisexual, transgender, queer or questioning to learn, grow, and share their experiences. In this way The Naming Project is a space in which youth can comfortably discuss faith and who they understand themselves to be–whether gay, lesbian, bisexual, transgender…or straight. Rev. Jay Weisener was received onto the ELCA clergy roster in 2010. Ross D. Merkel, the current pastor of St. Paul Lutheran Church in Oakland, CA, is the tenth pastor to serve the congregation since its founding in 1887. Ordained in 1978, he is a graduate of Lutheran Theological Southern Seminary in Columbia, South Carolina. Prior to being called to St. Paul in 1982, Pastor Merkel served as a Refugee Resettlement Coordinator with Lutheran Social Services of the Southwest in Phoenix, AZ and prior to that as Associate Pastor of Grace Lutheran Church, Phoenix. A native Californian, he graduated from the University of California, Davis with a Bachelor of Arts and then attended Brigham Young University in Provo, UT where he earned a Bachelor of Science and a Masters of Library Science. Rev. 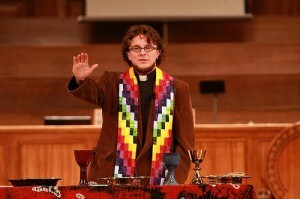 Ross Merkel was reinstated to the ELCA clergy roster in 2010. The Rev. Sharon Stalkfleet was first called as a pastor to the Lutheran Ministry to Nursing Homes in Oakland and Alameda, CA. She started ministry and served in that capacity for six and 1/2 years ending her call in December 2008. She currently lives with her partner Larell in Alameda, CA with their dog Greta. Rev. Sharon Stalkfleet was received onto the ELCA clergy roster in 2010. You are currently browsing the archives for the Roster Profiles category.